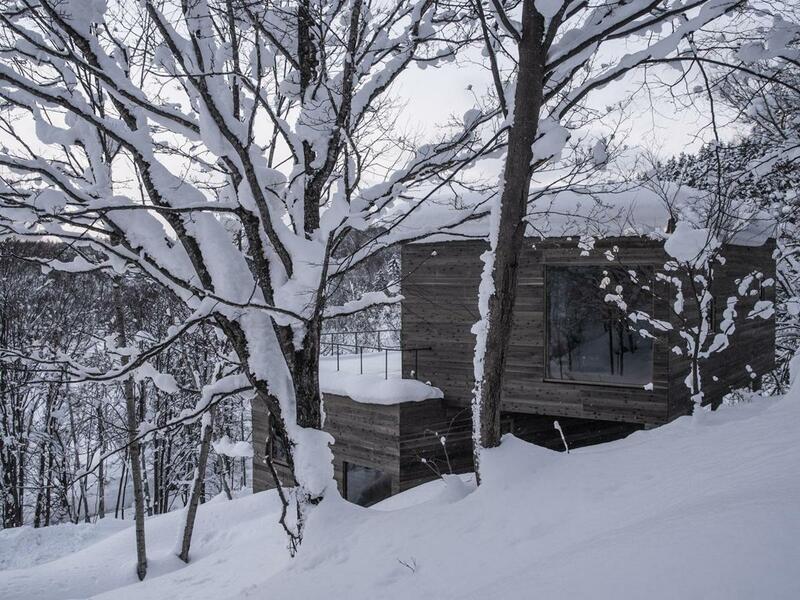 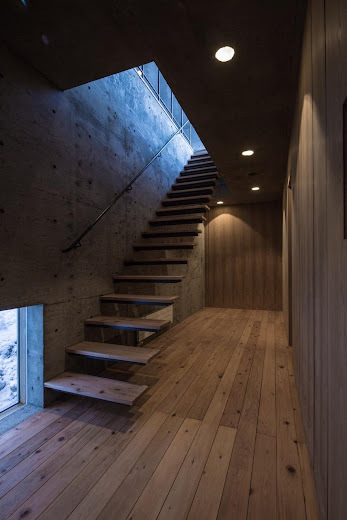 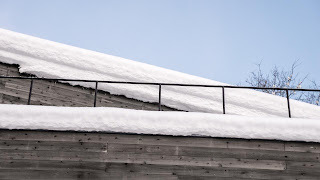 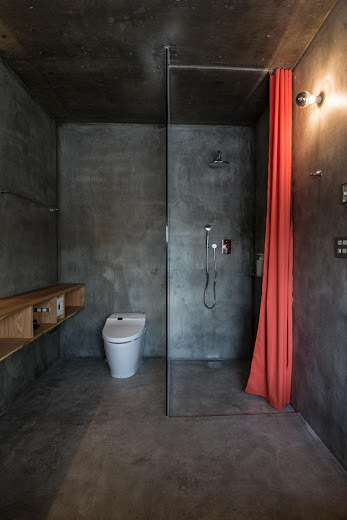 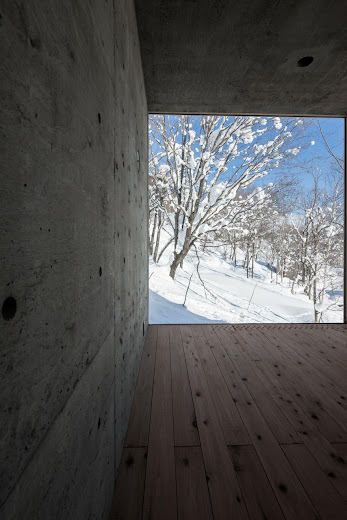 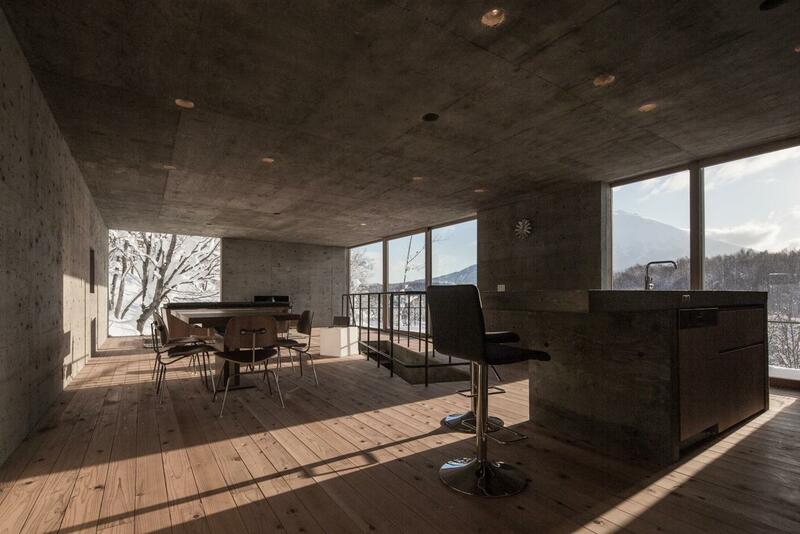 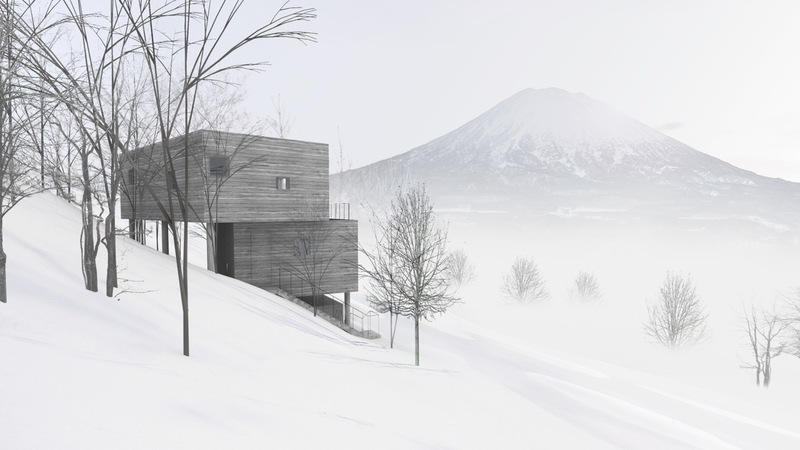 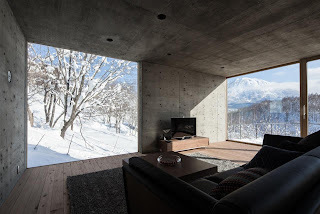 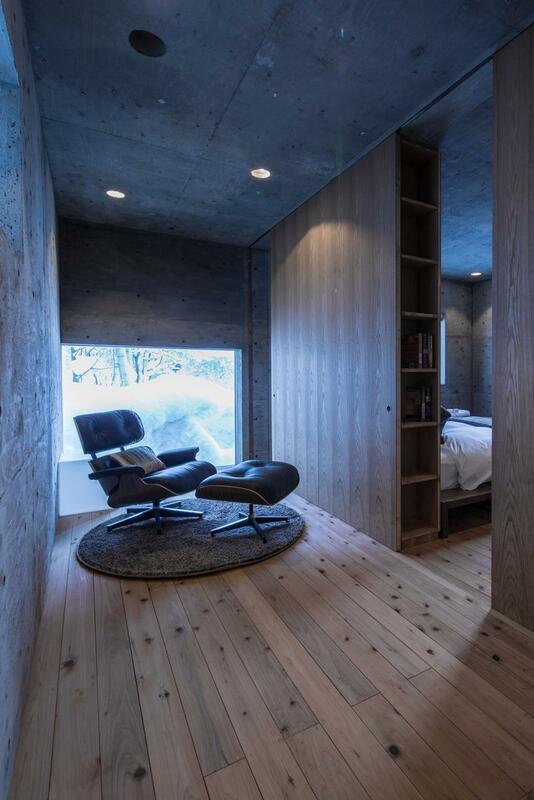 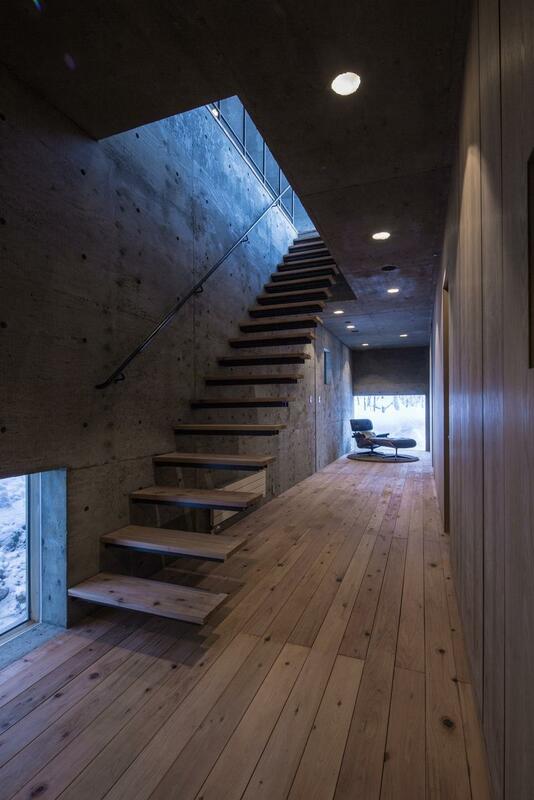 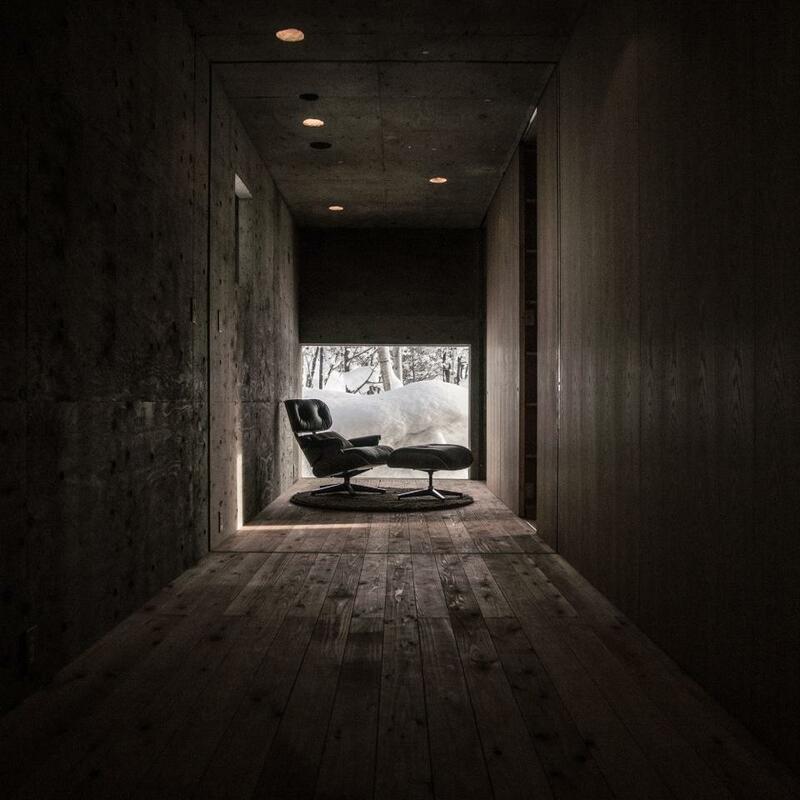 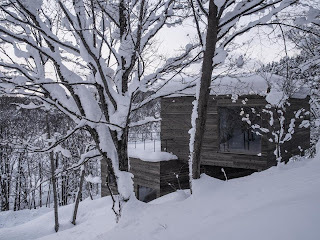 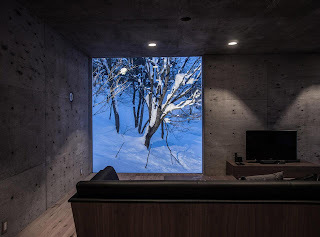 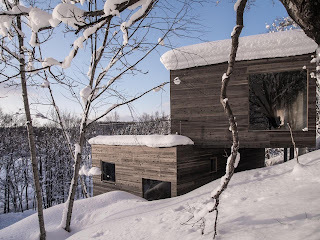 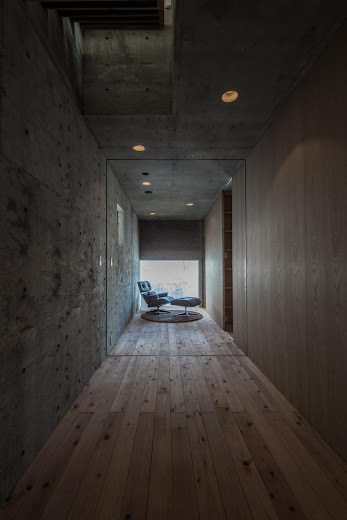 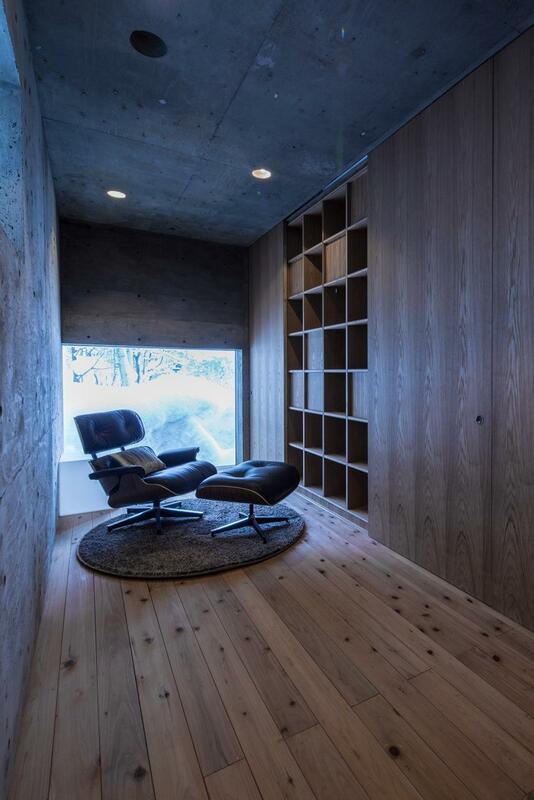 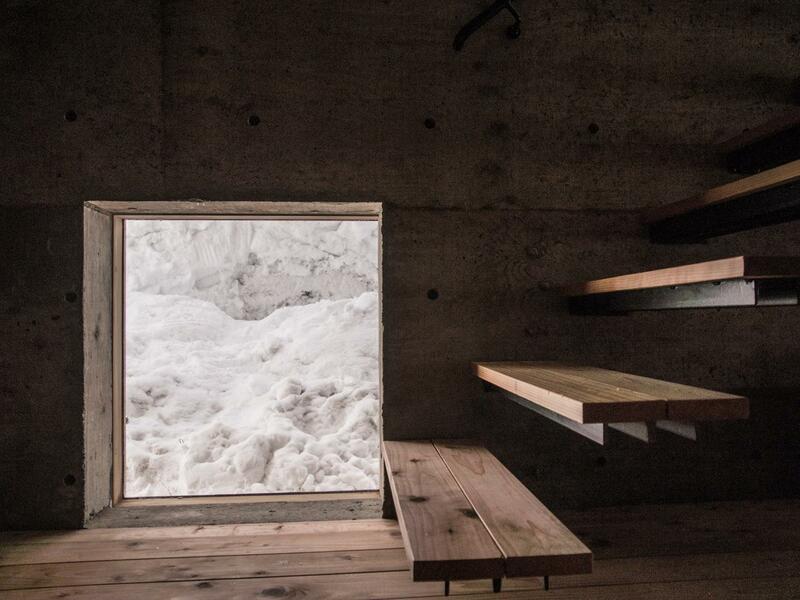 The L House in Hirafu is a private holiday residence in Niseko, Hokkaido. Following the escarpment that defined the topography in prehistoric times, the site is a steep slope with un-compromised views of Mount Yotei. 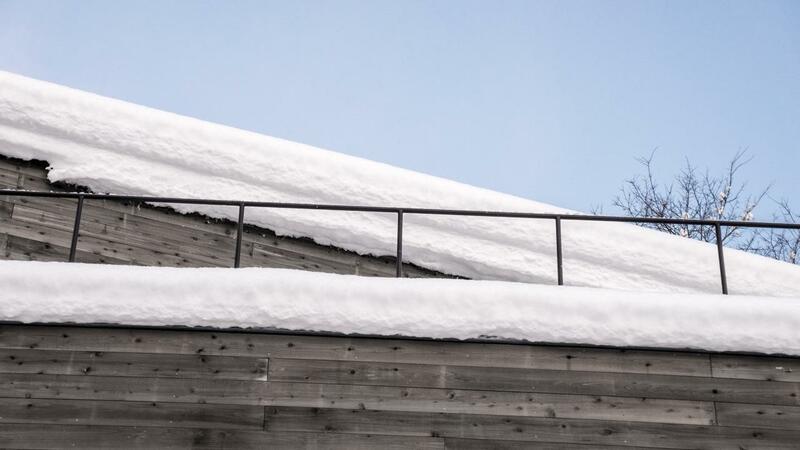 Despite being located not far from the House on the Slopes, the ground conditions here vary so drastically that excavating the mountain would lead to massive reinforced retaining walls and hence a prohibitive increase in cost. 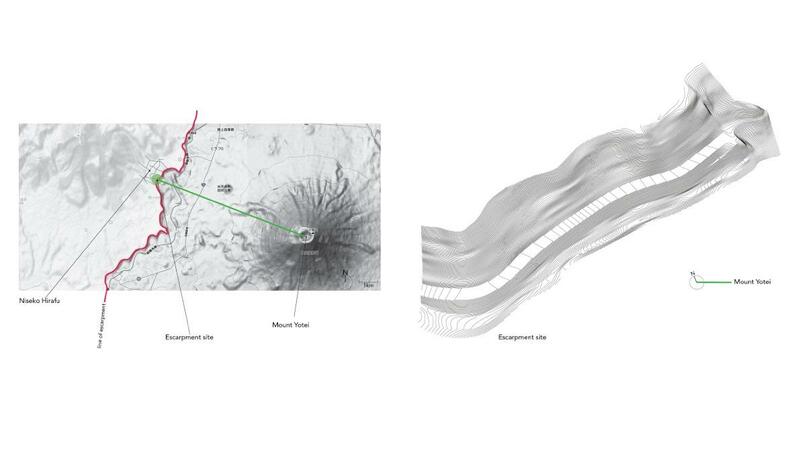 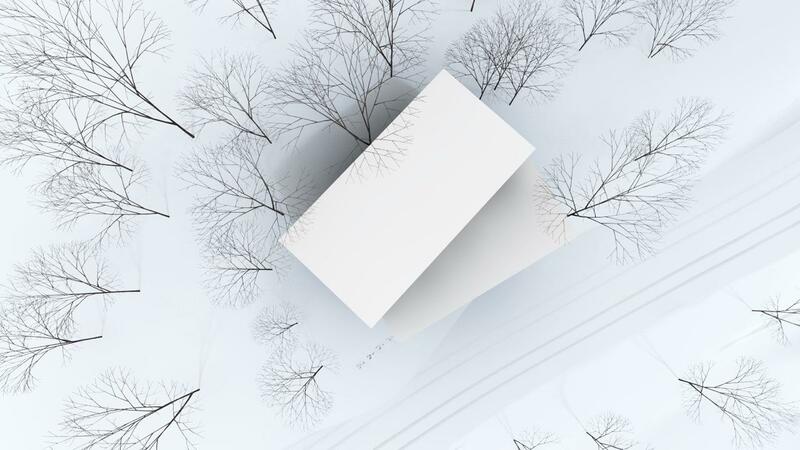 In response to such constraints and in order to exploit the site’s view, we proposed a house in the trees. 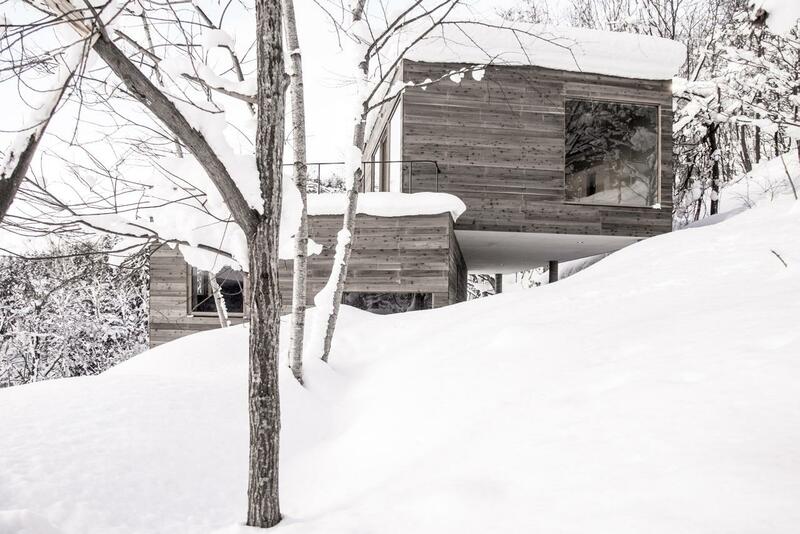 Where the topography shifted and slid vertically creating the escarpment with its stunning views, the L House is split and shifted horizontally, a simple gesture that opens up space and views as the building seems to move up the slope. 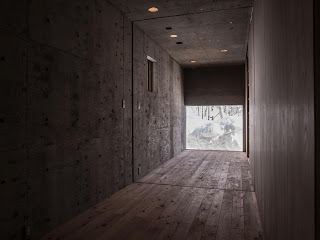 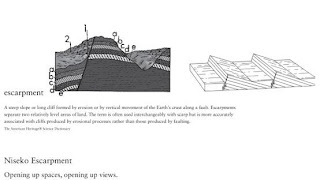 Like the building itself, the internal layout is kept in simplicity: Entering below the overhang of the upper volume, a staircase moves along the rear wall of the lower level to come out ‘rotated’ in the upper level, rendering the shift of the volumes visible as if one had climbed the slope towards Mount Yotei. 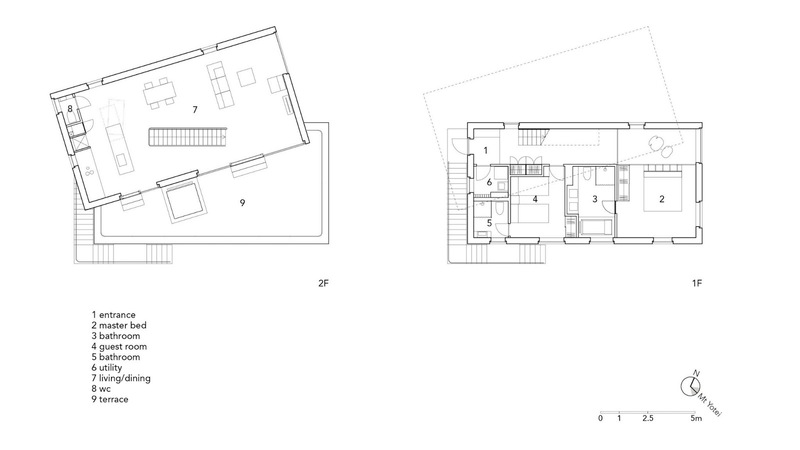 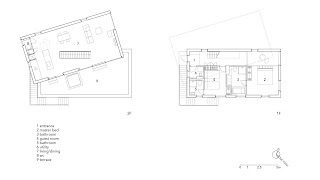 The wide living and kitchen area extends onto a terrace (the roof of the lower volume) with an open air bath. The private sleeping and bathing areas are in the lower level which is just high enough to enjoy wide views of the valley lying under the escarpment and at the foot of Mount Yotei.